Capital Fabrication, LLC. is a fully equipped custom metal fabrication shop. 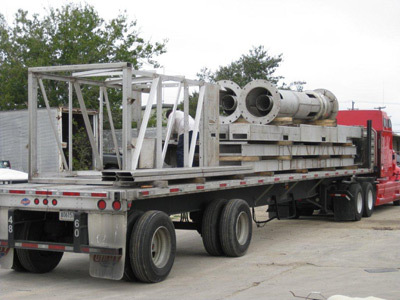 Started in the mid 1990's as a custom sheet metal shop, the company has matured and evolved to accommodate new diversified markets and customers. Its Owners believe in investing back in the company in the form of new modernized equipment and constant employee training. Our current facility includes an 8000 sf. building housing six dedicated welding stations for aluminum, carbon and stainless steel. In January 2011, our new 5000 sf. building will be in operation and will house all welding procedures, while the existing building will be converted to shape forming and equipment operations exclusively. We have a 20,000 sf. secured yard to accommodate stored completed fabrications and raw materials (carbon) that are in the queue for fabrication. 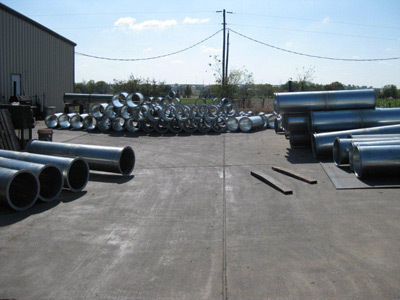 Carbon steel pipe weldements 1/2" through 30"